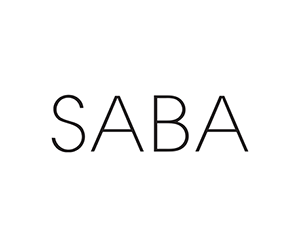 SABA is an Australian fashion retailer for women and men.Wide range of apparel inc. Each season, we offer both contemporary men’s and womenswear collections alongside a strong core of elevated essentials. The modernity of each collection speaks to the heart of the brand – it is through this principle that we have remained relevant + contemporary for 50 years. Some retailers have their own policies and restrictions. Before shopping, please ensure you review the Special Terms of SABA (above) for further information. Complete your purchase in one session and without leaving SABA. Do not click on any bookmarks or advertising banners or links once you leave ANZ Bonus Points Mall. Please allow 3-5 business days for domestic deliveries and up to 14 days for international deliveries. Standard delivery is $10 flat rate for all orders. However, if your order total is $200 or more delivery is FREE. Physical delivery of gift vouchers only is a standard $3.50, free if sent via email. We use eParcel for domestic deliveries and TOLL Priority for international deliveries, which requires a signature on receipt of your order. You can now return and exchange your purchase to one of our freestanding SABA stores or you can book your return online and choose between ParclePoint or the Post Office. Please note that returns or exchanges must be made within 21 days of purchase and you must include your delivery note, which will be in your package from us, with your returns.